The Azul Teacher Training is an experiential program designed to prepare individuals to become channels of this work into the world. It is articulated in two 10 day modules, offered over a one year period. The Training is designed for all those who wish to teach Azul classes and workshops and would like to build a local dance community. The Training is also designed for movement teachers interested in expanding their horizons, for therapists who desire to incorporate movement into their practice, and for anyone interested in deepening their personal growth through the path of Azul . The Azul Teacher Training is a one year program that includes two 10-day residential modules Apprenticeship and Certification and mentoring. In between the two modules trainees will meet with Amara via teleconferences, both individually and as a group. Participants who join the Apprenticeship training are not required to take the Certification, unless they wish to teach Azul classes. Participants also need to complete the Azul Trilogy a series of three 6-day retreats designed to provide trainees with the necessary foundational work required to become an Azul teacher. The Trilogy is offered quarterly in different locations in North and South America, Europe and Australia. All the Trilogy and Training modules are led by Amara Pagano . Module One provides focused attention on the practice of embodiment and takes participants through an in depth exploration of the guiding principles of the Azul Spiral. In addition, participants learn how to organize music, create playlists, produce classes, hold space and build local dance communities. Upon completion of Module One, Apprentices are able to hold Azul movement classes with minimal guidance. They also have free access to the Azul Apprentices Mentoring Program and receive Amara’s guidance via group teleconference and individual calls for a 7 month period. The Azul Mentoring Program is tailored to each individuals situation and it is designed to determine how embodiment and Azul can serve in one’s current work or professional setting. The program is also designed to support Apprentices in establishing their teaching practice and dance community. To maintain the Azul Apprentice status, Apprentices are required to participate in the Mentorship Program and attend a minimum of one Azul workshop with Amara per calendar year. Module Two focuses on preparing trainees to form class content, guide movement experiences and teach Azul movement classes. 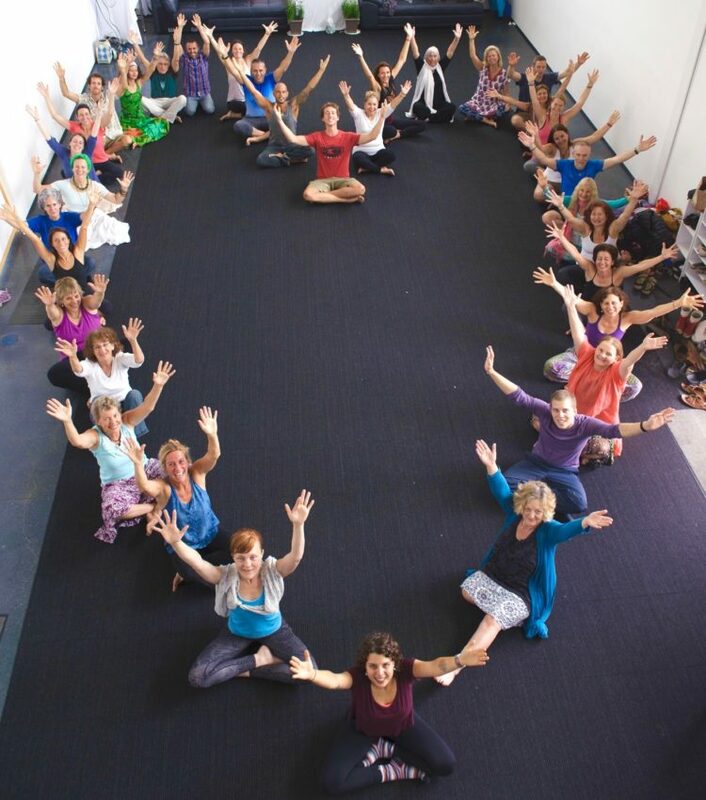 During this section of the training, participants have the opportunity to deepen their understanding and embodiment of the principles of the Azul Spiral. Trainees also receive guidance in aligning with their higher purpose as teachers and leaders. Upon completion of Module Two, trainees receive Azul Teacher Certification and are able to teach Azul movement classes. They also have free access to the Azul Teachers Mentoring Program, designed to support their teaching practice, for an additional 5 month period. To maintain the Azul Teacher status, Teachers are required to attend a minimum of one Azul workshop with Amara per calendar year. The Teacher Training is a mutual commitment and investment. It not only includes your attending the three Trilogy retreats, the two Training Modules and the Apprenticeship program. It also includes my personal investment in you, your education, your learning, your life and evolution. My intention is to mentor you in becoming an amazing facilitator and inspiration for others. The following prerequisites are required in order to apply for the Training. 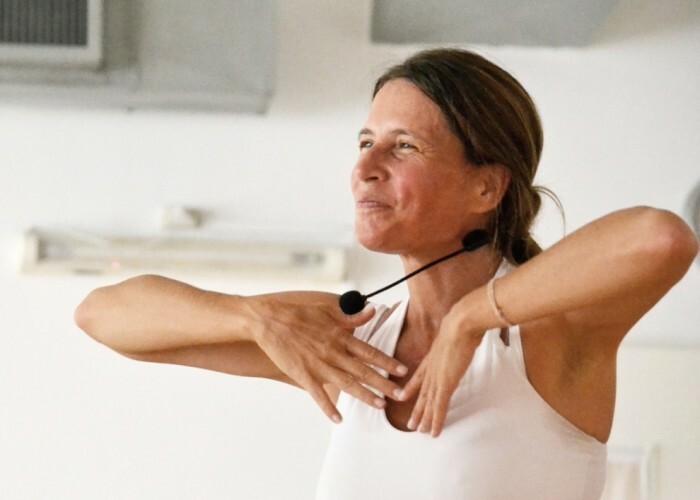 50 additional workshop hours (with Amara or other certified teachers in the following modalities: 5Rhythms, Soul Motion, Movement Medicine, Tamalpa Institute, Continuum and Dancing Freedom). To apply for the Azul Teacher Training, click on the icon below. 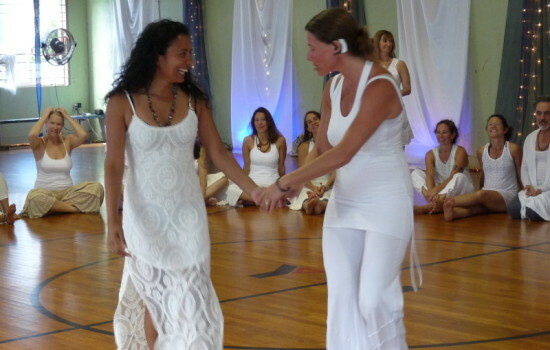 “The training was absolutely the best dancing and connection I’ve ever done….it’s an embodiment of nine precepts or ways of being in the world. It’s a spiral path of awakening the heart as we/I dance these vehicles of exploration. Azul takes us through a journey that awakens our consciousness working with the intelligence of the body. I found that when the word “embodiment” is used, I can now allow my body, the cells to respond with information I hadn’t know prior to the dance.